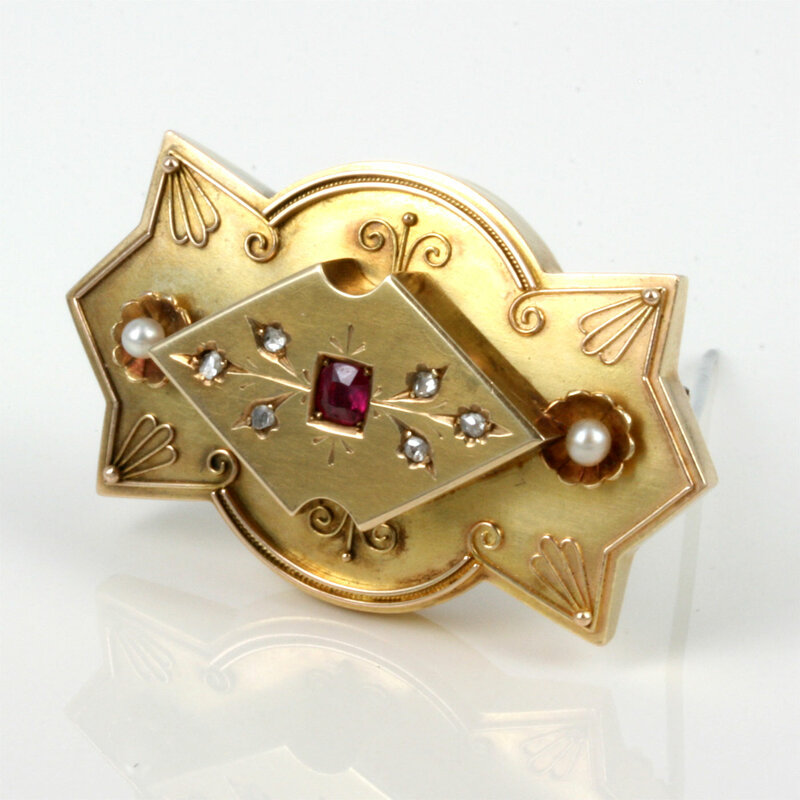 Antique ruby, pearl & diamond brooch. Product code: ES1186 Categories: Sold Items, Sold Jewellery. What a delightful and elegant antique brooch from the 1890’s. Made in 15ct gold, this brooch measures 45mm x 28mm, and is set with 6 rose cut diamonds, 2 pearls, and a vibrant red ruby in the centre. With the ability to place a photo in the reverse side, this antique brooch has all the class and style of the Victorian era, and will still stand out and make an impression today.